Here is a brand new catchy and gloriously infectious tune from one very revered gospel artiste that you sure should get familiar with and expect more from. 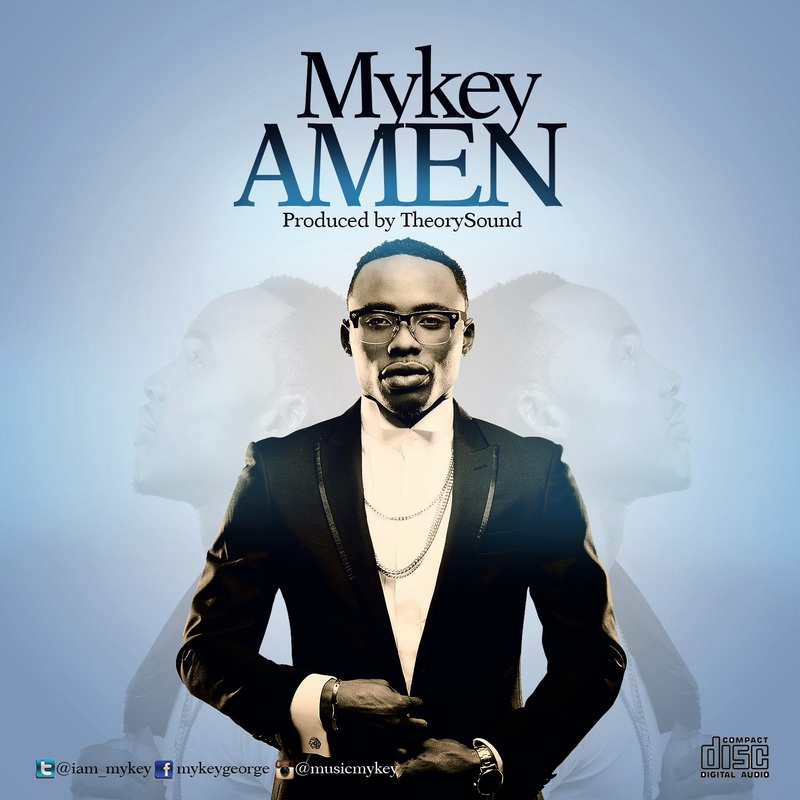 His name is Mykey and together with another gospeller known as A'dam, he makes his debut with this official release of his hit single, 'AMEN'. 'Amen' is a street-savvy and enjoyable tune that appeals to every side of the divide and is bound to make you acknowledge the effort put in by the artiste on it. It single-handedly satisfies its listeners in an uplifting way that makes them want to add Amen to every line. George Michael ( MYKEY) is a prolific artiste and song writer with a heart that churns love and a voice that warms those that come in contact with him. He was born on the 10th of October in Lagos and hails from Edo state. Mikey holds a Bsc. in Business Administration from Lagos State University. Having been raised from a young age by Little Saints Orphanage, he discovered his talent and passion for music and has relentlessly groomed his skills over the years. With a heart that cares for others and a voice that warms his tunes into the hearts of others, Mikey is indeed one artiste that wears his heart out on his sleeves. Mykey has a strong burden for making a difference in the music industry and his mission is to raise the standard and quality of every record he releases with sole aim of making a positive impact. He believes music is a gift and every of his song is inspired by God and the beautiful experiences of life. His biggest musical influences are Mali Music, R.Kelly, India Arie, Detrick Haddon and Bob Marley. His style of music cuts across different genres but keeps in focus an inspirational and uplifting message to his audience. Over the years, he has graced the stage of many major and minor events displaying mind blowing performances that got his audience craving for more. One of which is the just concluded Mr Nigeria 2014 pageant. He has shared stage with the likes of Nosa, sheyman, midnight crew, chuddy k, Monique and many more. With his strong and dynamic vocal uniqueness, coupled with his energetic stage presence, he always seem to wow his audience.